Bowling parties are a fun and inexpensive way to celebrate your special occasion. No matter what the weather may be, your party will always be a hit. You bring the cake & camera and we’ll take care of the rest. Book online by clicking here or call the events office at 512.930.2200 and speak with a Birthday Party Coordinator. Want us to call you? Click HERE. A $100 non-refundable deposit is required. Sales tax will be added. Contact the Events Department at 512.930.2200. No outside food or drinks except birthday cake. Mel’s Kid’s Club Member Bonuses!!! 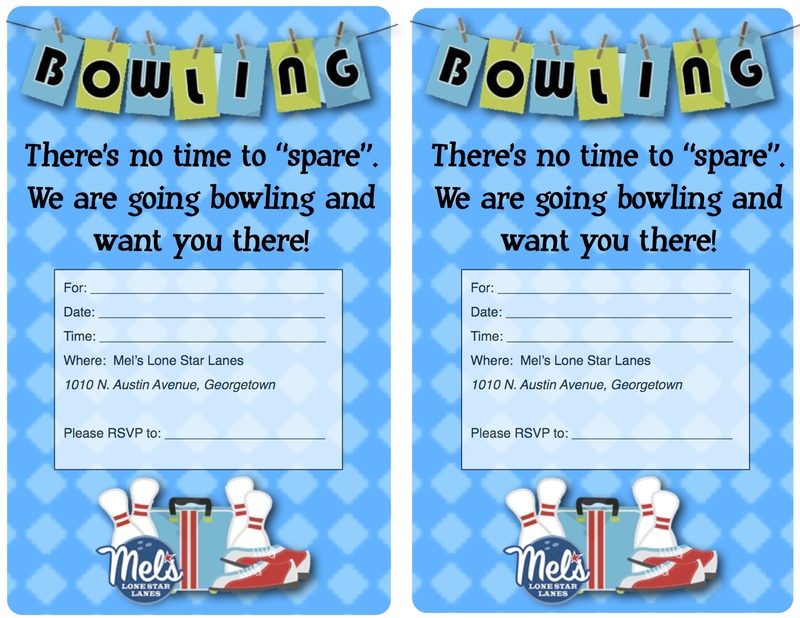 All Mel’s Kid’s Club Members get a FREE t-shirt when they book their birthday parties at Mel’s Lone Star Lanes. Click here to register for Mel’s Kid’s Club for FREE. Extra arcade money loaded on to the birthday child’s game card when booking a Gator Bash Package. Parties: Birthday Party packages must be reserved online within 3 days of event date. $100 non-refundable deposit required for all birthday party package reservations. Price is per package plus any additional participants and/or food/beverage/merchandise. Tax and Gratuity not included. Balance due on the day of your event by cash or card. No checks accepted. No outside food or drinks are allowed except birthday cake.